Amidst all the hoopla surrounding Obama's success in becoming the first African-American president, I am perhaps one of the few who find little celebrate. Yes, I was a supporter of Hillary Clinton, even going so far as to contribute to her campaign and even volunteered during the primary season. I made endless telephone calls and even showed up in PA for one weekend to canvass voters. But that to me is now all irrelevant. 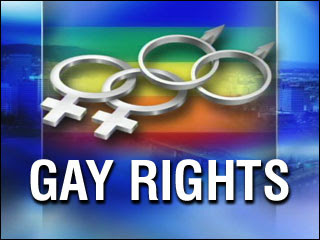 What saddens me is that in CA, AZ, and FL voters turned back the clock of progress on gay rights on Tuesday, November 4, 2008. It is truly ironic that in my home state, FL, Obama carried the state by a small margin but voters by more than 60 percent accepted Amendment 2. I guess voters can look past race, but gay, no. November 4 will go down in history as a sad day for gay Americans--it was when mainstream Americans once again treated gays as second-class citizens.